I'm sure everyone (most of you guys) love to have some online shopping date as it's a way convenient to buy our needs without stepping out from home (where is also known as BusyLazy Symptom that everyone has it at this modern-techno era xD). Though sometimes do give us a convenient way of purchasing, but don't you have some worries while online purchasing like me most of the time such as 'Is my purchase safe during delivery' or 'How long should I wait my purchase this time'?? Well, I do have a so called not-really-perfect experience this year regarding online purchase with this platform. I'm sure everyone know about TaoBao right? Just because I'm a Banana (a Chinese that not good / don't know Chinese words ^^''), do have some issue with them personally back then. Though I know that there are some local TaoBao agents now that can help us to get our purchase earlier than last time where we need to wait more than a month (but still need to wait 2-3 weeks la ^^'''), but they still need to spend some time liaising with the seller where will delay our shipping as well. 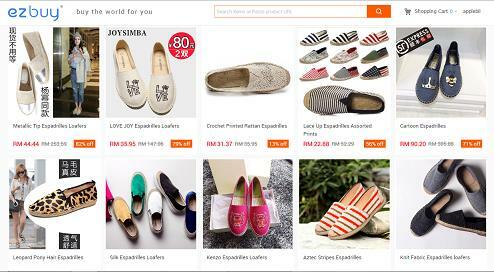 Due to is hard for me to deal with China Taobao, why not look for more localized platform? ezbuy Malaysia (formerly also known as 65daigou) really do help us in products that we are looking for even you might not have best translation. This platform do provide us local customer service support where we should have no worries any after sales issue such as wrong, damaged or even missing parcel (wow.. really like not bad yo <3). 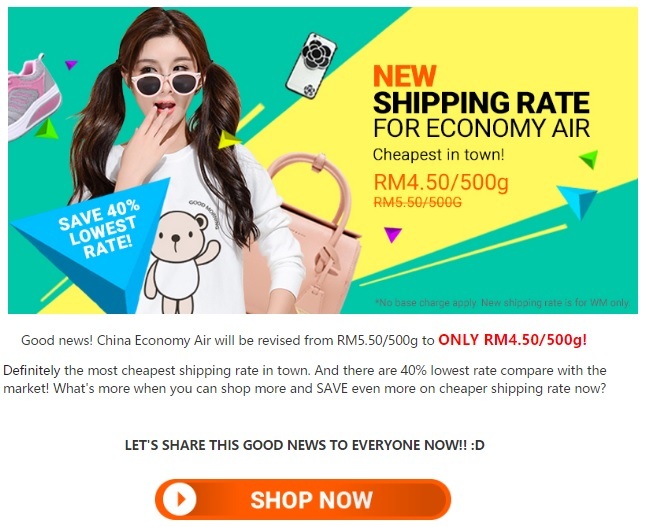 ezbuy Malaysia not only having the lowest shipping rate at RM4.50/500g, they also known as the lowest international shipping rate as well where 8.80 for TaoBao and 18/500g for USA (=0= it was like WOW!!). ezbuy Malaysia do have variety of shipping method such as express air, sensitive sea, and etc, where you no need to worry about can't get your sensitive products.